Happy Monday! Today marks the last day I’ll be hosting this link up on Mondays. Since I upload to youtube every Sunday, it’s getting hard to have this post ready for Monday. 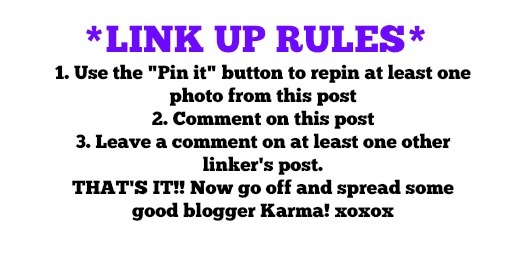 That being said, I’ll host my weekly fashion link ups on Wednesday’s instead. Okay, enough business. 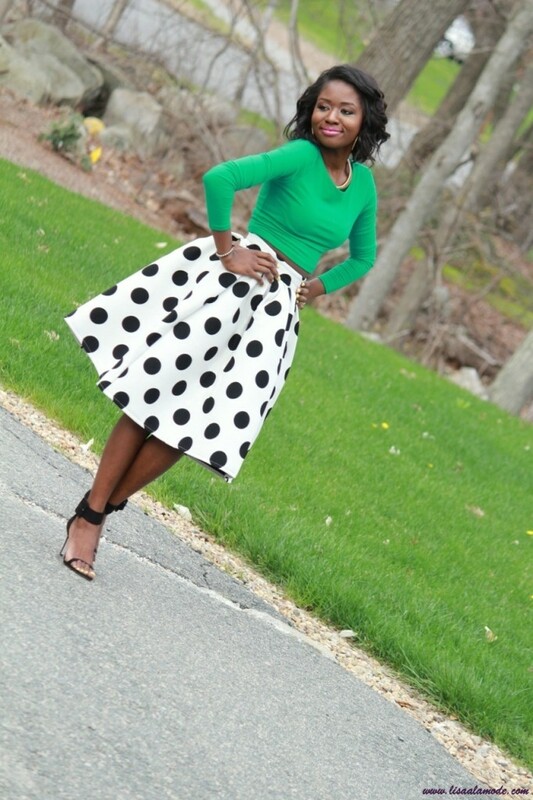 Let’s talk this FABULOUS polka dot skirt, I snagged from Choies a few weeks back. Isn’t she lovely?? Please note that I purchased this in a size small, and it’s TINY! I’m 5’2 and 110 pounds and this was super snug on me. Buy up a size! I love the idea of pairing this skirt with a crop top because even though this skirt is a throw-back to the ’60s, wearing it with a crop top makes it very modern and chic. And the fabulous Asos shoes you’ve seen me wear again and again also help to keep this look T-R-E-N-D-Y. Mama Fashion Files/ I would so rock this/ Walking in Memphis in High Heels. « $230 Francesca’s Collection Giveaway! It’s perfect styling for sure. Love the polka dot skirt. That shirt is to die for! You look so fabulous Lisa! You look great hun! Im swooning over that skirt! I can’t believe that you are only 5’2″! For some reason I thought you were taller…around 5’9″ lol. This skirt is everything, love the pairing with the crop top. I would rock this look with a pink crop top and pink court shoes for a bit of colour blocking. Absolutely love that skirt paired with your green crop top! That skirt! *screams* I absolutely adore polka dots! Love this! I am in love with polka dots and i really need to go shopping for some. Lisa, you are WERKING this look! The skirt is super cute! I may have to grab that. That skirt looks adorbs on you! I love the pairing with green crop top. That skirt couldn’t be any more perfect, lady — obsessed! I have the exact same skirt! Great fashion minds! I purchased mine from sheinside.com and I know exactly what you are speaking of regarding the sizing. Super snug. I love this skirt with the crop top! Love! Awww! Thank you Thank you! Omg, right?? It is SOOO thick! The funny thing is I purchased 5 or 6 items and everything else ran big, while this one ran small. Go figure! Two words: THAT SKIRT! Looking great girl! 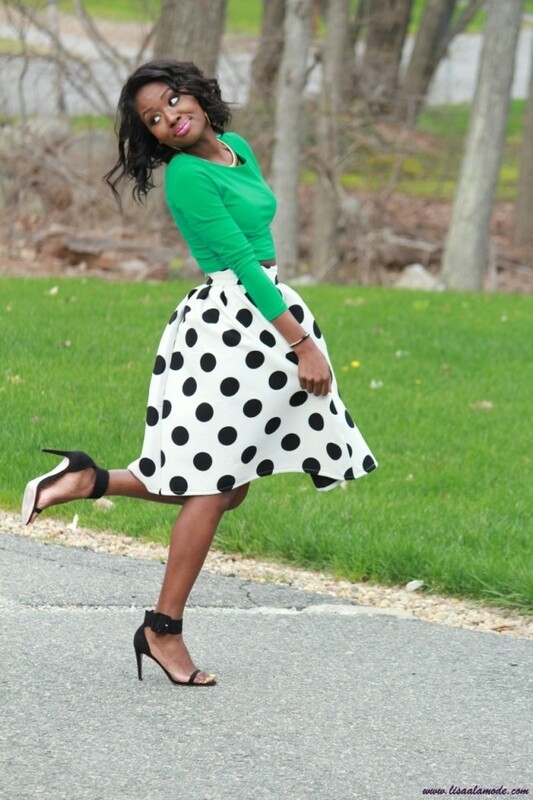 Happy to have found your blog and your polka dot skirt is super cute! Love a great skirt for summer! This outfit is so pretty! You have styled it perfectly! I love the green with the polka dots! lovely!so playful!the skirt is really flattering! I’m with everyone else, you styled this look really well!! I’m swooning over that polka dot skirt!! So fab! Your outfits are always breathtaking and stunning. I absolutely love how you styled this. Flawless!! I love, I love, I LOVE!!! Love this skirt! It’s just incredible! I feel like I would wear EVERYTHING with this skirt! Thanks, Jenna! It really is the PERFECT skirt! theres always something whimsical and FUN about polka dots! and the green just makes it look even prettier! That skirt is fabulous. Love the green crop top with it. This skirt is AMAZING. I love classic color and print. It looks great on you. I am totally crushing on your skirt! You look amazing! What a beautifully styled outfit. You always look stunning in your pictures. The polka dot skirt is just so adorable! 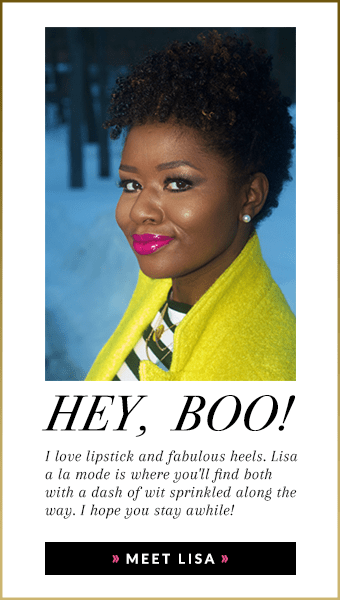 I am loving this look, you look stunning Lisa!! I love that skirt it’s so pretty. OMG, that skirt looks beautiful! I definitely need to get a full skirt like this. It looks so fun! very chic, i love how you paired them. You look sooooo beautiful in this outfit! I couldn’t agree more, pairing this skirt with the crop top instantly makes it look more modern and trendy. You have an amazing sense of style, keep up the great work! I found your link via Walking in Memphis in High Heels. I am SO in love with this look! I am not a crop top girl at all, but this green one looks fantastic with that skirt! I want this outfit!!! Absolutely adorable….I love your skirt so much and the pop of green is perfect.